The last time I saw Devendra Banhart play in Australia was at the 2010 Big Day Out. Performing on a side stage at the graceless, grimy rock fest, he mostly looked pissed off to be there. But when he took to the stage of Melbourne’s Prince of Wales Hotel last night sporting a hipster beard and homemade tattoos, he exuded the sensual charm of a proudly effete and alternative showman: every bit the suave and psychedelic folk-nymph his fans were hoping for. Accompanied by a tight and effusive four-piece band and with a lengthy back catalogue to draw from, from the outset Banhart created an elated kind of intimacy. Moving from his most recent and perhaps strongest album Mala, right back to early anthemic gems such as Seahorse and I Feel Just Like a Child, and even including a cover of a song by Brazilian legend Erasmo Carlos, Banhart mostly delighted with his body-angling, multilingual, genre-hopping repertoire and cheeky, boyish rapport. That all this was achievable despite poor sound quality in the first half was a credit to Banhart’s dexterity. Some of the more intimate tracks such as Daniel (about a gay love affair ending in the queue of a Suede concert) were rendered sadly undecipherable over bassy feedback crackles. But once the technical issues were resolved, Banhart spent a chunk of the second half solo on stage riffing on requests from the crowd of unexpected obscure gems such as Little Yellow Spider andSanta Maria Da Fiera. 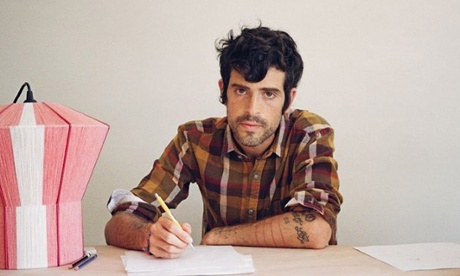 It felt like we were all just hanging in Devendra’s lower east side loft – and it was a delight to be invited in.